It’s that time of year, folks. The time when you’ll see whispers turn to rumors and rumors get shot down. But every once in a while, one of those rumors will come to fruition. This, my friends, is trade season. 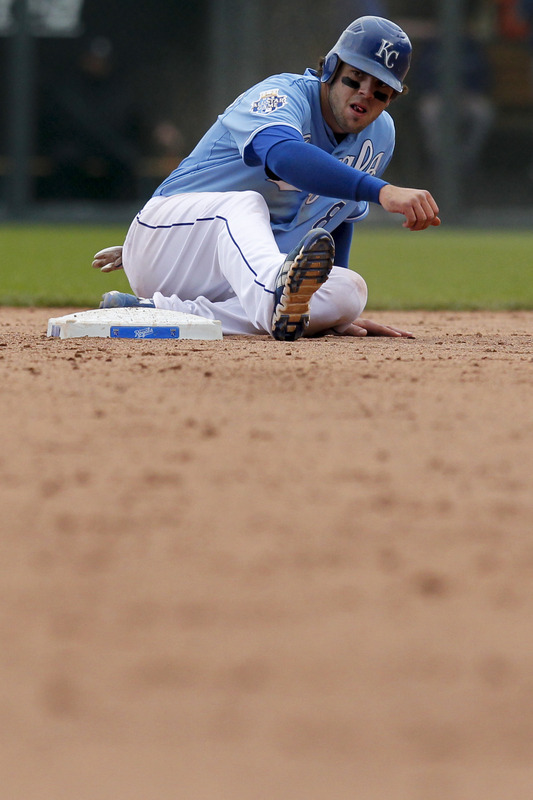 The Royals have already begun their trading season by swapping one under-performing pitcher for another when they shipped Jonathan Sanchez to Colorado in exchange for veteran innings-eater Jeremy Guthrie (both of whom were traded this offseason to their former teams in exchange for an All-Star). So with the July 31st trade deadline just over a week away, let’s look at those on the Royals’ roster whose names have been floating around the league. 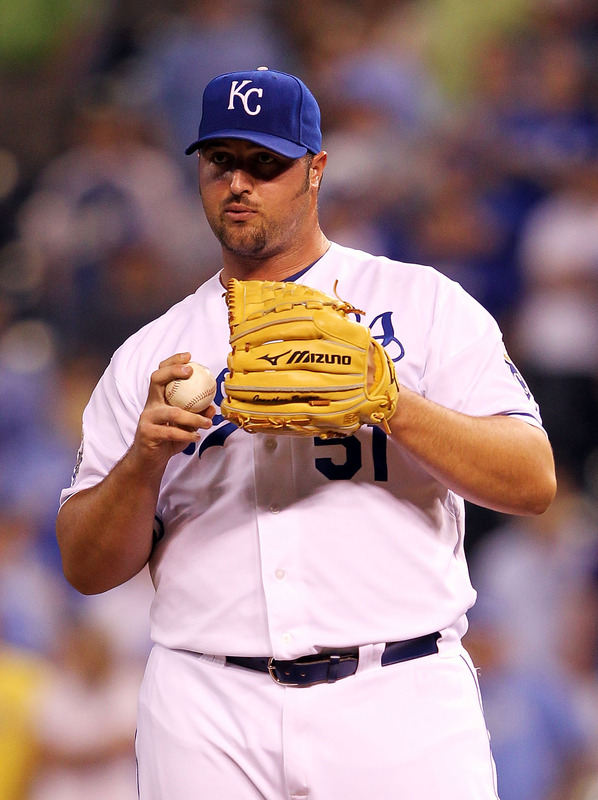 You only haven’t heard Jonathan Broxton trade rumors if you don’t pay attention to baseball at all. The 28-year old heavy-weight champion of the big leagues is having a resurgent season on a team who currently has no true, over-riding need for a top-tier closer. 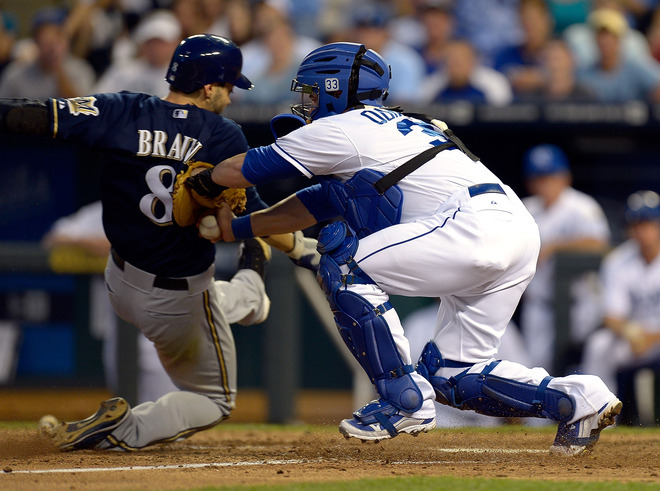 Now is Broxton truely a top-tier guy at his position? Absolutley not. But it’s hard to argue with the results: 34 games, 1-2, 22 of 26 saves converted, 2.34 ERA, 1 HR surrendered. 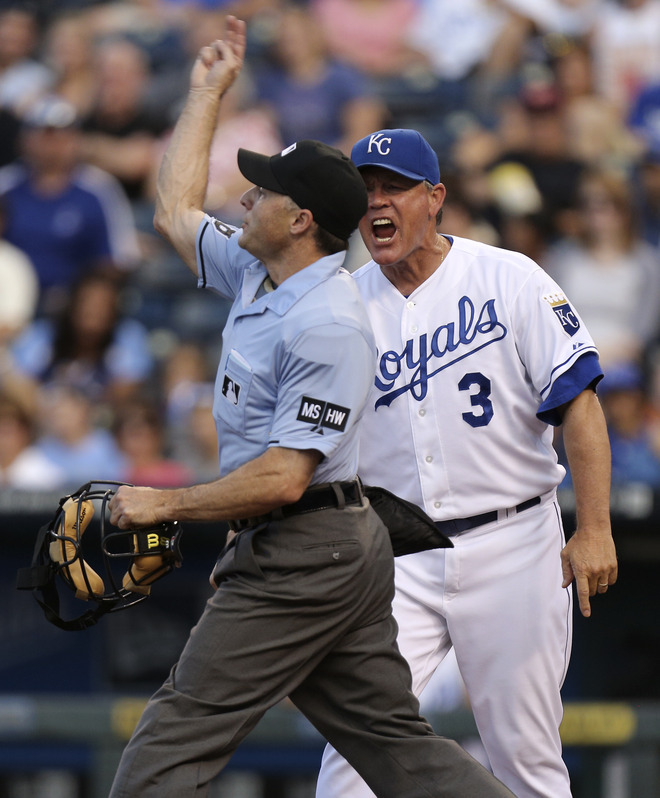 But Broxton does have his demons that us Royals fans have become accustomed to. Of his 26 save chances, Broxton has faced the minimum of three batters a total of 8 times and has given up 34 hits in 34.1 IP. So needless to say, he’s hardly unhittable. But he gets the job done, and that’s the bottom line when it comes to closers. Being that he is the best available closer in a trade thus far, teams in a playoff/wild card push who are in need of late-inning bullpen help should be all over Broxton here in the coming days. He likely won’t command a whole heckuva lot in return in terms of major league-ready help, so the Royals just may wind up keeping Broxton and signing him to an extension this offseason. There have been reports that both the Mets (who have the worst bullpen in baseball) and the Angels could be interested in acquiring Broxton, with the Mets possibly being the most aggressive. Although he’s possibly the nicest guy and baseball and the next Sean Casey, Frenchy has likely run his course in Kansas City – most likely due to the fact that he’s blocking possibly the game’s hottest prospect, Wil Myers. Jeff has managed to hit just .247/.286/.375 while clubbing only 8 HR and driving in 27 runs in 91 games this season; hardly the production you want from your right fielder, which is typically a more offensive production-based position. On top of his limited production is the fact that he’s in the first year of a two-year, $13.5 million extension that he signed last season, meaning any team that acquires Francoeur is likely to be on the hook for the remainder of his contract. Frenchy does have some trade value though. First off, he has an abslolute cannon for an arm. His 10 outfield assists this season are 2nd in all of baseball beind Jose Bautista’s 11, while his 107 career outfield assists ranks him 7th among all active outfielders behind Bobby Abreu (130), Manny Ramirez (129), Vladimir Guerrero (126), Andruw Jones (124), Mark Kotsay (121) and Carlos Beltran (120). Secondly, he has historically proven to be an offensive threat against left-handed pitching. Finally, he’s a great clubhouse guy – just ask every single person on every team he’s ever been on. If Francoeur ends up being traded, it will likley be to a team looking to platoon him in right field with a left-handed hitter, limiting to him regular bench duty. It’s been said that possibly the Indians and Reds are both looking for someone along the lines of Frenchy. Each of the Pirates, Yankees and Red Sox could all make sense as possible trade partners as well. 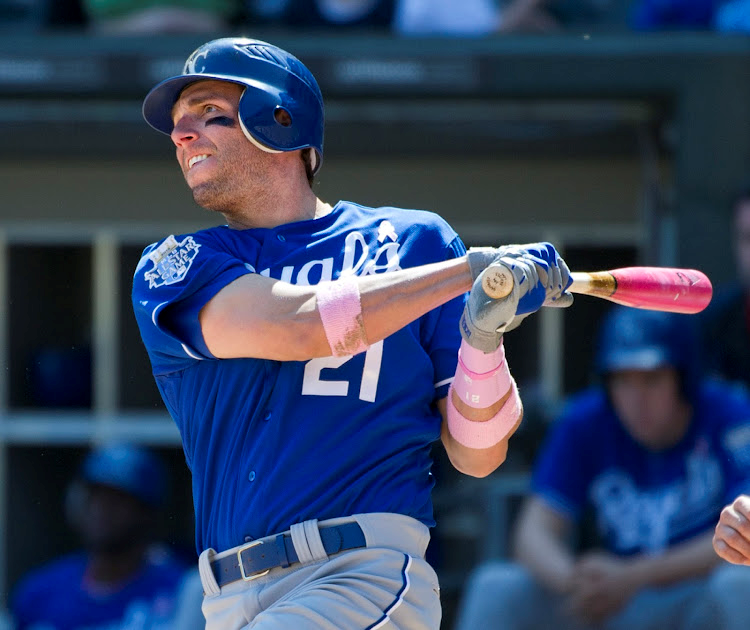 There have been a few reports stating that the Yankees are possibly kicking the tires on making a run at Alex Gordon – given that their left fielder Brett Gardner is out for the remainder of the season. But with the Dayton Moore looking for major-league ready starting pitching in return for any trade, unless the Yankees offer CC Sabathia, the Royals absolutley have to pass on this one. The Yankees have no young, legitimate, major-league ready starting pitchers within their system worth giving up Alex for. And how would the Royals even replace Gordon? He’s their leadoff man who leads the league in doubles, a Gold Glove winning left fielder, smart baserunner, and is signed to an extremely club-friendly deal. 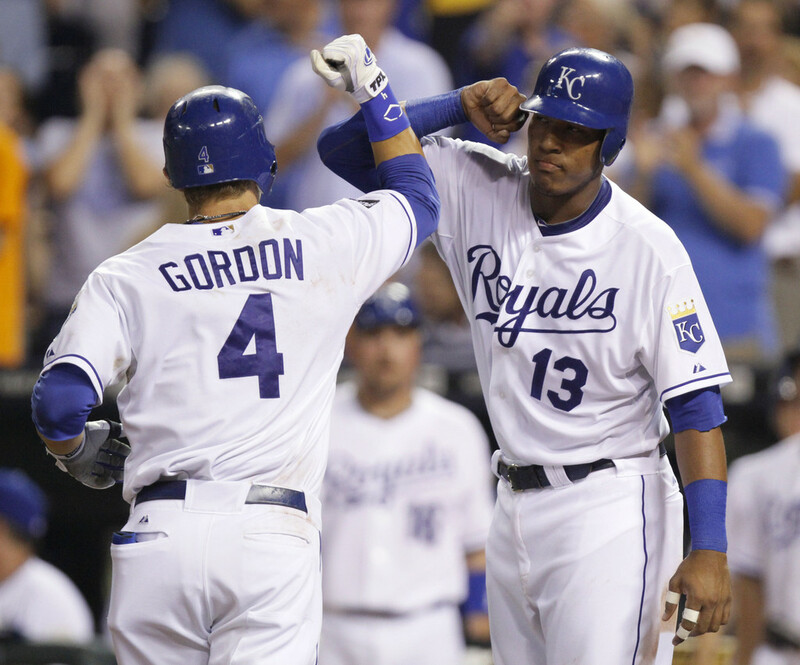 Dealing Gordon would create a huge hole, both offensively and defensively. 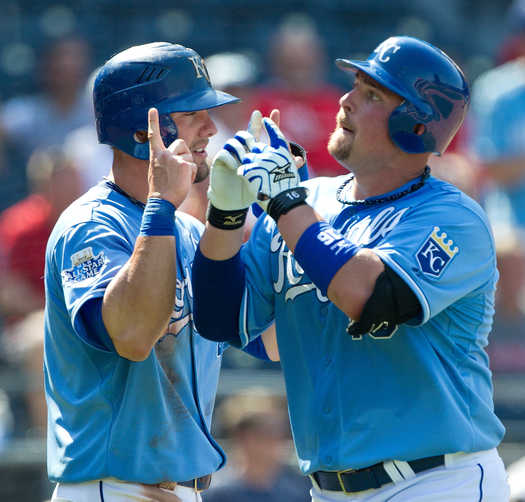 Apparently, the Pittsburgh Pirates have been calling the Royals about the slugger. Desperate to infuse some right-handed power in their lineup, the Pirates are considering using Butler at first base full-time – risking his defensive limitations – in order to pull away from their division foes. But their offer to the Royals, Triple-A lefty Justin Wilson (7-4, 4.25 ERA), is hardly enough to pry him from the loving arms of Kansas City. Possibly the face of the organization, Billy is on pace for his most complete season to date. The 26-year old is mashing at .296/.364/.496 with 32 XBH (13 doubles, 19 HR) and 58 RBI while bouncing between being the lineups no. 3 and no. 4 hitter. Once again, trading Butler would just create another hole in the lineup.